Smoked meats always remind me of Autumn and I’ve created a twist by using brined game birds and I add them to the smoker… with hay!! French farmers use hay for not only feeding their livestock, but also to cook with. And to make it even more special, I steeped cream in a handful of hay to create a yummy mustard cream sauce. Grab a glass of white wine, a lap blanket and dine outdoors and enjoy all that is Autumn!! 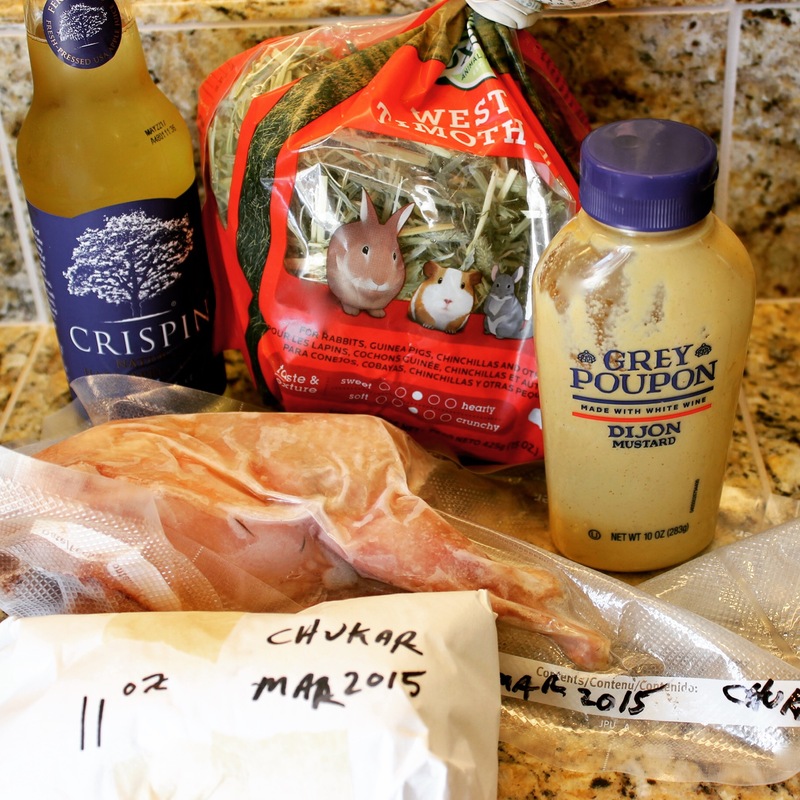 Make a brine for the bird/s you want to cook. Heat 2 cups chicken stock, kosher salt and sugar in a small sauce pot, and stir just until the salt and sugar are dissolved. Remove from heat and add the remaining ingredients to a large bowl which will fit all the birds and brine liquid. Cool the brine completely. Add the birds and refrigerate for 12-24 hours. Remove the birds from the fridge one hour before cooking. Prepare the smoker. Drain the birds and discard the marinade. Place aluminum foil inside a large metal bowl. Then add the hay and a single layer of cheesecloth. Place the birds on top of the cheesecloth. And place the birds in the smoker and close the lid/door. Start the cooking timer, and add handfuls of hay to the burner to develop smoke every 5-10 minutes. And continue until the birds are cooked to the coordinating time. 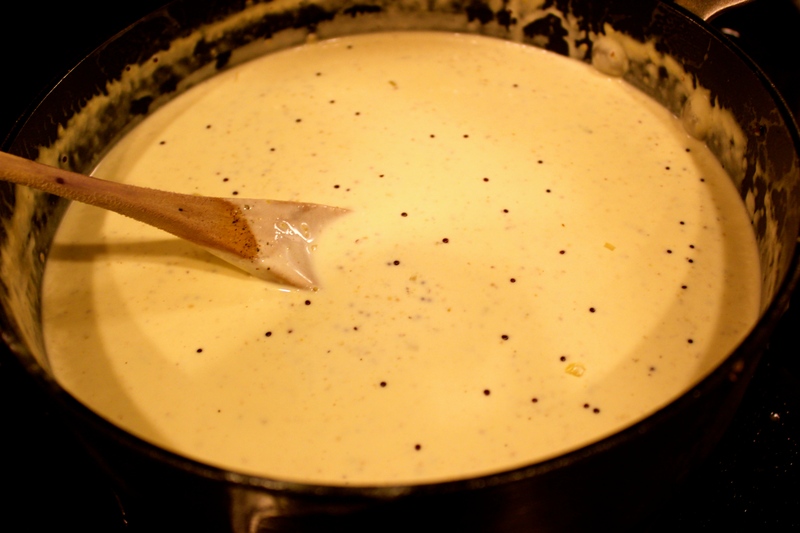 While the birds are in the smoker, prepare the mustard cream sauce. Place two handfuls of hay on a baking sheet, and place in a 350ºF oven, and “bake” hay for 8 minutes, to develop a nice roasted flavor. 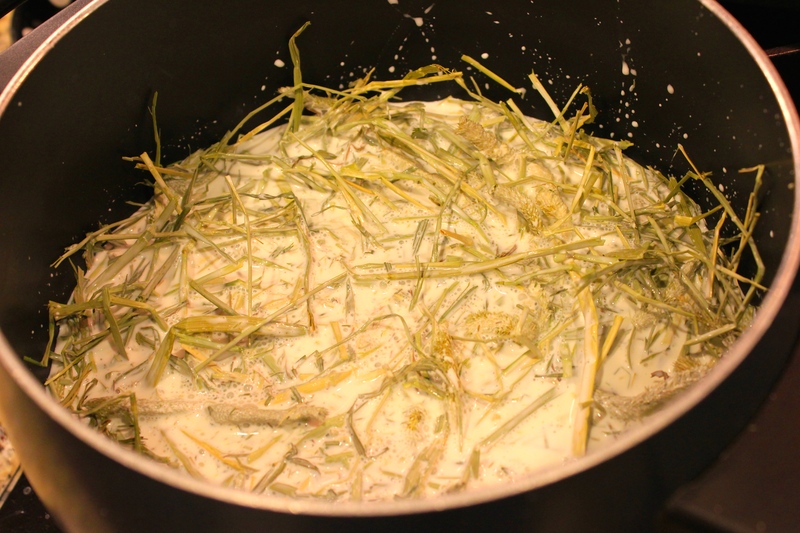 Remove the hay to a large pot and pour in the cream and heat on low heat for thirty minutes (do not boil). 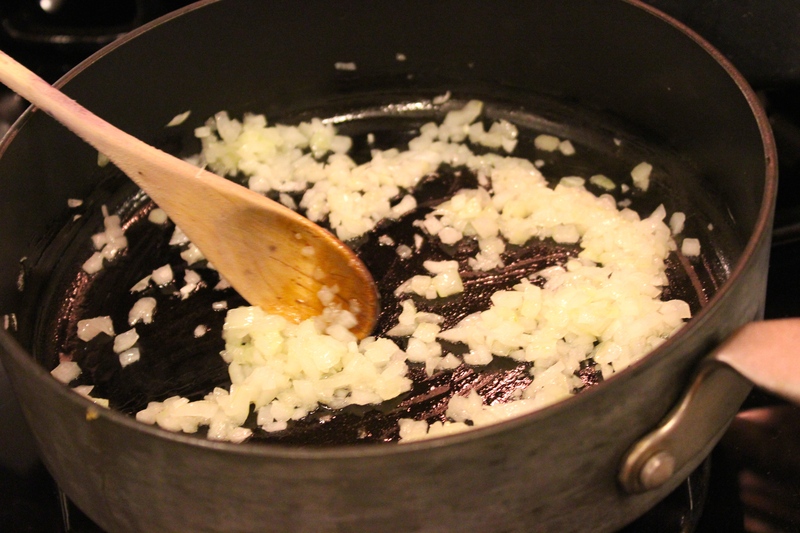 In a large saute pan, add two tablespoons butter and oil and add a minced shallot. Sauté over low heat. 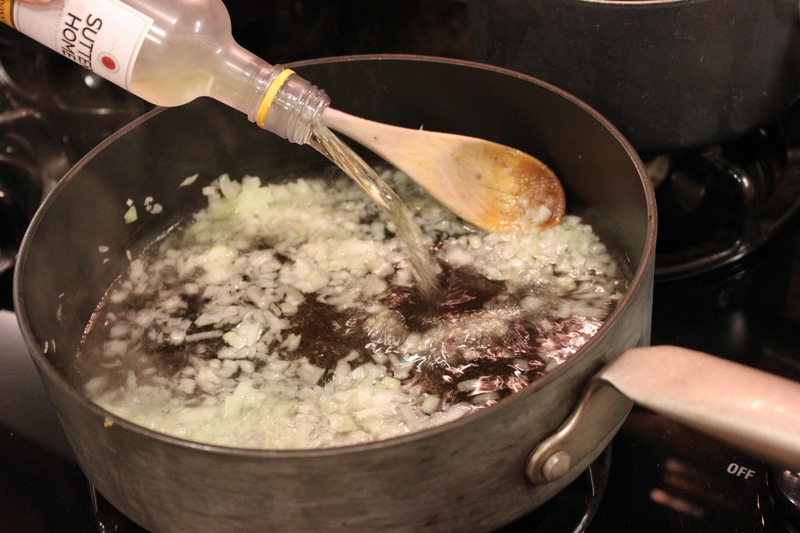 Sprinkle the shallots with cornstarch, and while stirring, pour in chardonnay. Heat on medium-high while stirring. Place a fine mesh strainer over the pan, and pour the hay steeped cream through the strainer and discard the hay. Continue to stir while the sauce thickens. After it’s thickened, add the dijon mustard, mustard seed, sugar, and season with white pepper and salt. Add the tarragon and serve with the smoked birds. FOR THE BRINED BIRDS ***12-24 Hours Ahead (quail, dove, or squab for 12 hours…pheasant, grouse, chukar, and turkey for 24 hours). Pour 2 cups chicken stock into a sauce pot and add the kosher salt and sugar. Remove and add the remaining ingredients. Cool completely and add the game birds into a large bowl. Place in the fridge for 12-24 hours. 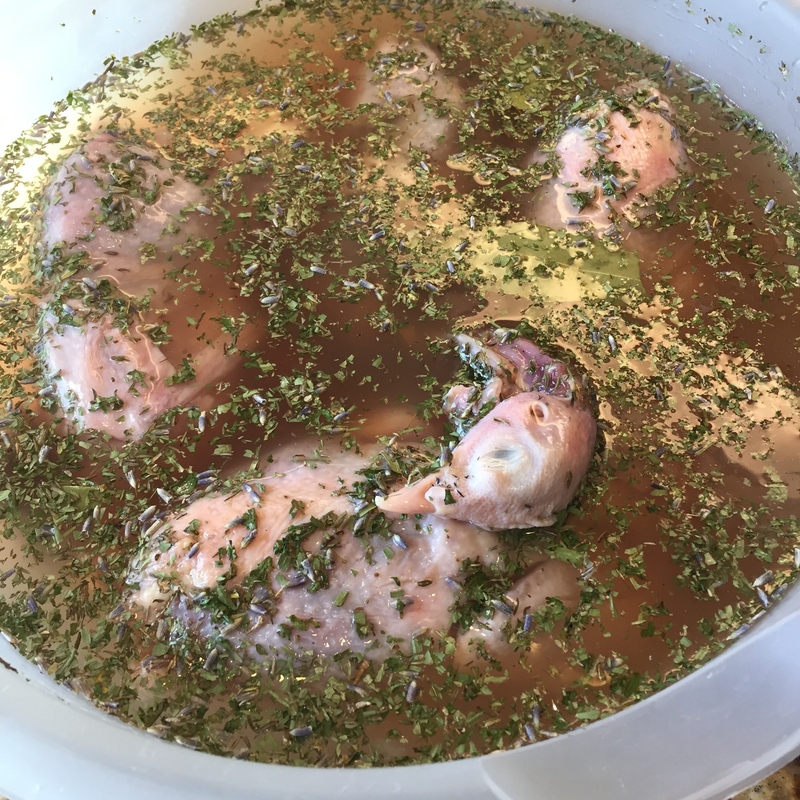 Remove the birds from the brine to a rack to air dry while prepping the other ingredients (discard the brine). *** The meat you are cooking will vary in terms of how long each must be smoked, so take the timing into consideration before preparing side dishes and adjust your timing to make the roasted vegetables and sauce in the LAST 45 minutes of cooking time of the smoked meats. These are guidelines so they will vary a little, and keep in mind some game birds, like dove, can be cooked to medium. Turkey: 1 hour/per 4 pounds, Pheasant and Grouse: 1 hr 15 minutes, Chukar: 1 hr., Dove and Quail: 30-35 minutes. In a large metal bowl or baking sheet (which will fit your smoker), add 5 cups hay and spread it out. Lay a single layer of cheesecloth over the hay. 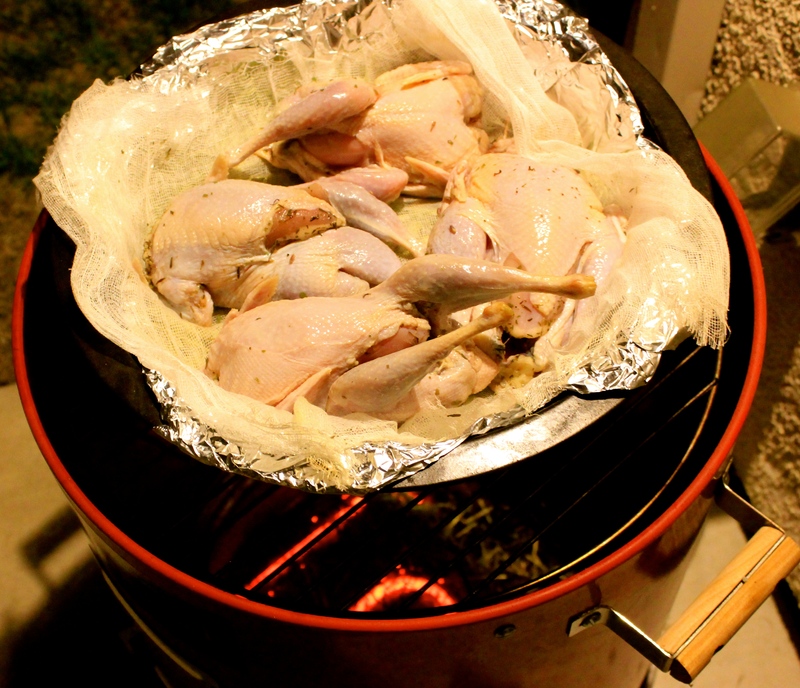 Lay the bird/s on top of the cheesecloth, and place in the smoker. Close the lid and add some hay to the burner to begin to develop smoke. Continue to add hay for continuous smoke while the birds cook. Once the birds are to the proper smoke time, remove and brush off any bits of remaining hay. Serve with sauce and side dishes. While the birds are on the smoker (or can be made ahead and kept on very low heat). Add two handfuls hay to a baking sheet and spread out, and place in the oven for 8 minutes to "roast" the hay. Remove the baking sheet and add the hay to a medium sized pot and poured in the heavy cream. Heat on low for a half hour (*do not boil). In a large frying pan, over medium heat, add butter and grape seed oil. Add the minced shallot and sauté over medium heat. Sprinkle the shallots with the cornstarch. Pour in the white wine and stir while the wine reduces, for two minutes. Hold a strainer over the frying pan and pour in the hay steeped cream and discard the hay. Add the dijon mustard, mustard seed and white pepper, sugar and stir until the cream sauce thickens. Serve with hay smoked meat. **I used two chukar and two partridge. But you can use any type plucked birds you want. Just keep the skin in tact. 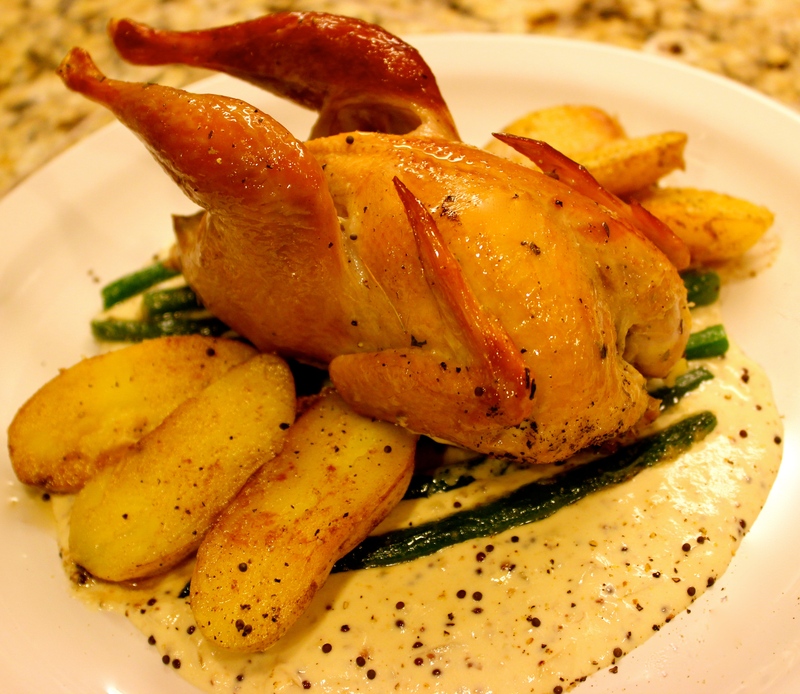 I served the smoked birds with boiled then butter sautéed fingerling potatoes and green beans.